We’d love your help. 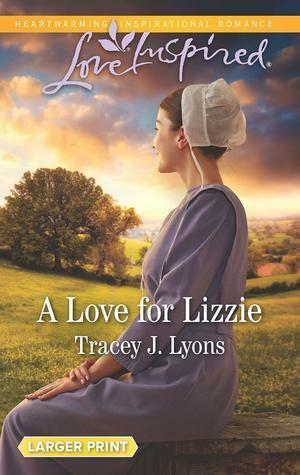 Let us know what’s wrong with this preview of A Love for Lizzie by Tracey J. Lyons. To ask other readers questions about A Love for Lizzie, please sign up. Tracey considers herself a small town gal writing small town books. An Amazon Top Ten bestselling historical romance author, Tracey sold her first book on 9/9/99! Tracey’s books have been translated into several languages. She has appeared on the award winning Cox Cable Television show, Page One and at the famous Lady Jane’s Salon in NYC. She holds membership in Romance Writers of America, America Tracey considers herself a small town gal writing small town books. An Amazon Top Ten bestselling historical romance author, Tracey sold her first book on 9/9/99! Tracey’s books have been translated into several languages. She has appeared on the award winning Cox Cable Television show, Page One and at the famous Lady Jane’s Salon in NYC. She holds membership in Romance Writers of America, American Christian Fiction Writers and Novelists Inc. Tracey writes small town, sweet and inspirational historical romances.